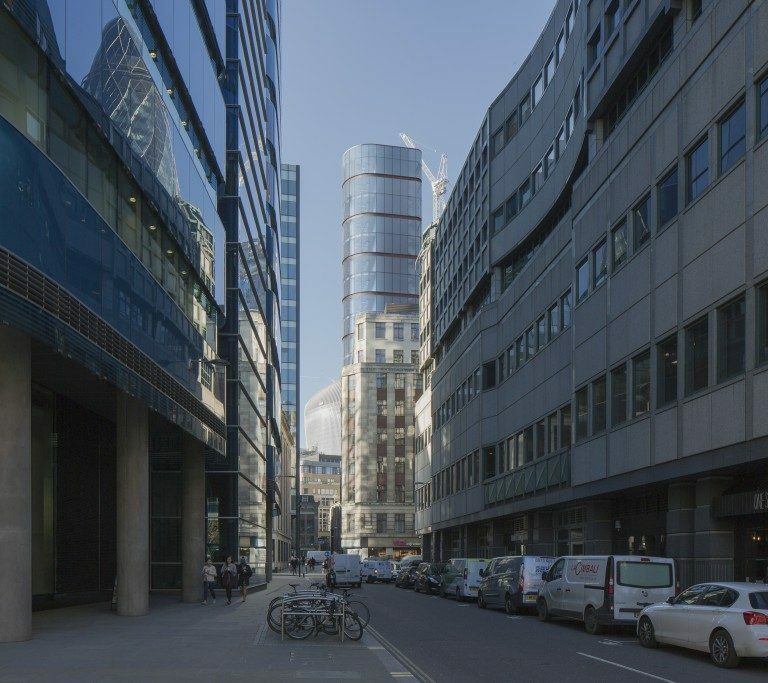 Creechurch Lane offers the opportunity for small and medium enterprises to establish a home in the historic centre of the City of London, with flexible spaces and innovative design enabling them to expand and contract according to their business needs. Responding to its prominent city location, the proposed slender and gracile form complements the existing contemporary glazed buildings that surround the site, such as ‘the Gherkin’, and pays respect to the neighbouring historic buildings, most significantly the Grade I listed Bevis Marks Synagogue, one of the oldest Synagogues in England. 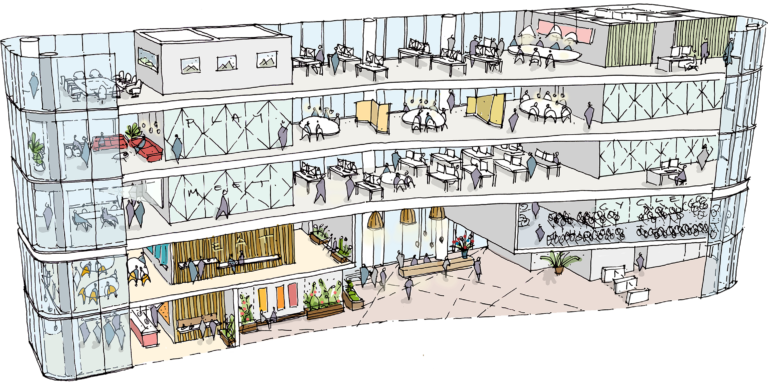 A key design aspiration has been to create areas that improve tenants’ wellbeing and encourage activity in a working environment. Cycle facilities are not just provided, but are expressed and celebrated as part of the building’s elevation. 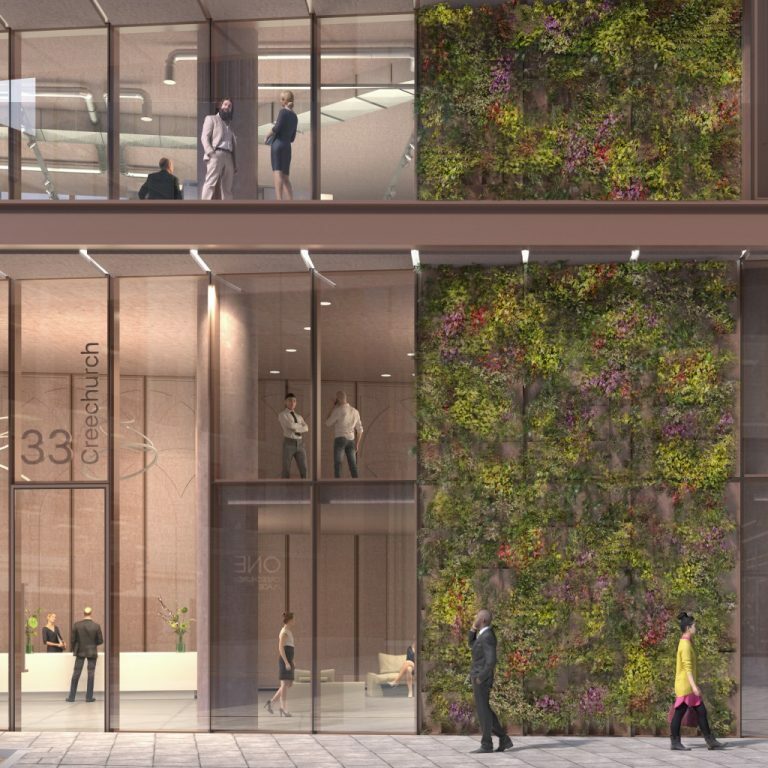 Green walls and external terraces run up the entire height of the building, and the uppermost floors are set aside for dedicated shared amenity space to encourage workers to step away from their desks and promote a healthy lifestyle.